I have to tell you; I love doing this series on “Successful Women In Real Estate Investing”. 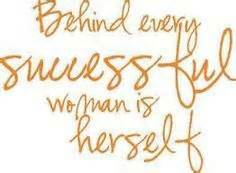 I am on a mission to change the way so many women think about this business. It is traditionally viewed as being a “man's business”, but there are so many women quietly (or not so quietly in some cases) making a huge difference in real estate investing today. One of those highly successful female role models is real estate expert Susan Lassiter Lyons. You might remember that I interviewed her a few weeks ago for a podcast about finding private money partners for your business. If you missed that show you can Click Here to listen to the podcast. Susan was able show everyone how they too could raise private money for their business. Because of her expertise, I was really happy that she shared her ideas for my successful women series. This real estate expert has a no holds barred attitude when answering my 4 questions. Over the years I’ve tried just about every investing strategy there is. I discovered that I make money best behind a desk. Putting together multifamily syndicates and hedge funds is fun and lucrative. At my core, I love solving problems. So there’s nothing better than when someone comes to me with a multimillion dollar project that they have gotten to the 20 yard line and I get to help them take it in for a touchdown. Yes, all of them. LOL. From tax lien investing to rehabbing and everything in between. Trust me no one wants to live in a rehab that I’ve worked on or project managed. I played at real estate for many years not really focusing. I would do a few lease options, a few rehabs, a few private money loans, a few tax liens but I wasn’t getting any traction. Once I focused on one strategy, I grew it and built additional divisions/profit centers to support it. That’s when I experienced exponential growth and scale. Realize that real estate is not a get rich quick proposition. It’s the vehicle you’ve chosen to wealth but the road can be long. If you run it like a true business vs a hobby you will have more success in the long run. Grow it purposefully and effectively by implementing systems and processes and establishing clear investment criteria that you follow it 100% of the time. That helps take the emotion out of your decisions. The deal either fits or it doesn’t. Period. Become a specialist. I wasted many years playing at many different strategies. And the adage “jack (or Jill) of all trades, master of none” is so true. I always recommend selecting a strategy that plays to your strengths and passion and become the absolute best at that. Be sure to check out her blog “The Investor Insights”. There is a lot of great information to help you grow your real estate investing business there. * Owned and operated Denver’s #1 mortgage company for real estate investors. * Raised $26.2 million in private money from debt and equity partners to fund hundreds of deals. * Sponsored real estate investing syndicates including multifamily equity offerings and a 506(d) private equity mortgage pool to make hard money loans.